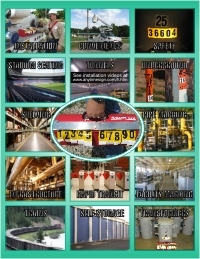 This system is a practical way to number transformers, electrical boxes, etc. Each number is 1 1/2" x 2 1/2". Numbers are black on white or yellow reflective 3M Scotchlite 3200 for outdoor use or black on white economy vinyl for indoor use. 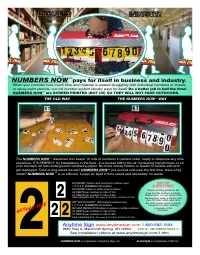 * The reflective numbers cost 79 cents per number in rolls of 100 or 72 cents per number in rolls of 300. * The economy numbers cost 34 cents per number in rolls of 100 or 27 cents per number in rolls of 300. FREE DISPENSER BOX ($75 value) IF YOU BUY 10 ROLLS OF 300. If you want 1.5" x 2" individual black on yellow reflective numbers, click here.